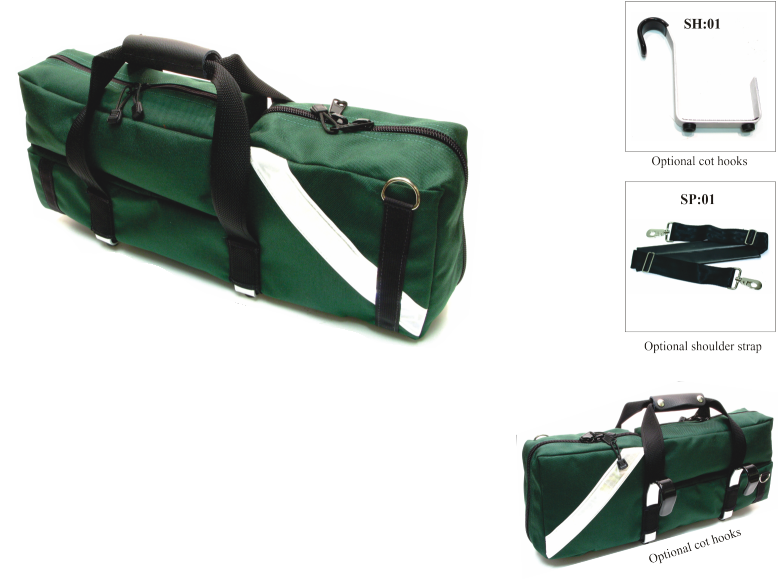 The SA:02 SA:03 SA:04 SA:05 feature a regulator access compartment with airway loops and an elasticized pocket. The removable pouch can carry airway accessories. 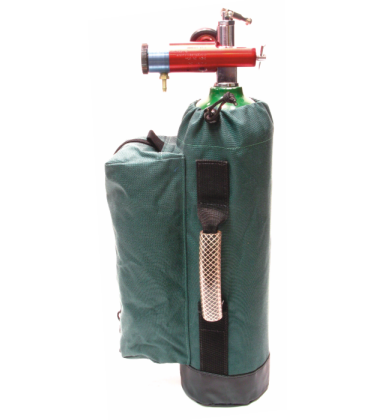 The bag is padded to protect the cylinder and regulator. Specs: 1000 denier cordura # 10 self repairing zippers nylon webbing and bindings 200 denier oxford liner heavy woven elastics welded steel hardware closed celled foam reflexite brand reflective tape. Features: removable pouch airway loops inside cylinder opening left or right suspending hook mounts optional cot hooks optional heavy adjustable shoulder strap available in fluid resistant materials.